We are engaged in manufacturing, supplying and wholesaling an array of Valve Test Rig that are reckoned for their efficiency and high durability. These rigs are manufactured as per the set industrial norms and standards. Offered rigs are highly appreciated by our clients for their high tensile strength and high quality. 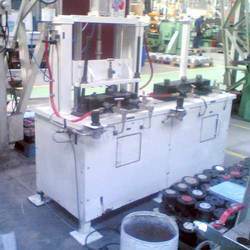 These machines are highly durable and provides flawless performance. Our expert professionals make optimum use of quality-approved raw material, advance technology and modern tools to fabricate these rigs. 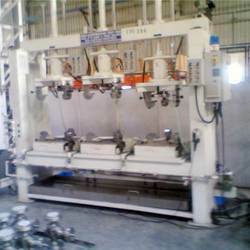 Customers can avail customized test rig from us as per their needs and requirements. We are engaged in wholesaling, supplying and manufacturing Ball Valve Test Rig that finds usage in meeting the testing needs of ball valves. These rigs are developed in strict compliance with international norms and standards. Customers can avail custom-made rig from us in accordance with their given specifications. These rigs are highly reliable as we stringently test these for quality through different quality check process. We make use of quality-approved raw material procured from reliable suppliers to manufacture these rigs. We are preeminent manufacturer, supplier and wholesaler of Automatic Valve Test Rig that are used for socket type valve clamping. We also provide customized rigs in accordance with customer's given specifications. These rings are used to hold leakage of water and is used in various industrial applications dealing with tightly sealing the valves using clamps. Customers can avail these rigs from us. We are stalwarts in manufacturing automatic high pressure Butterfly Valve Test Rig for flanged ball valves. We manufacture these rigs in strict compliance with international norms and standards. Custom-made rigs are also available. These rigs are fabricated using quality-approved raw material procured from reliable vendor-base. Offered rigs are highly reliable as these are well tested for quality at our technologically advanced laboratory exclusively made for quality testing. 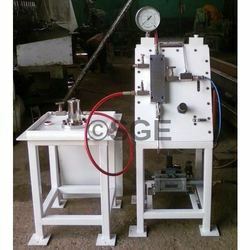 Looking for Valve Test Rig ?